Students at Ormiston Ilkeston Enterprise Academy celebrated their GCSE results with seven of the new top grade 9 scores being achieved. Overall, more than half (53%) of students achieved a Grade 4 or better in English and maths – a nine percentage point increase on last year’s figure. The academy also saw good improvement in the higher Grade 5, up by 11 percentage points on 2017 to 32%. With improvements across the board, results were particularly strong in maths, where 65% of students achieved at least a Grade 4 or higher. This is an increase of 12 percentage points on last year. This year the GCSE grading system has changed from the traditional A-G to a numeric 9-1 system. Four students from the academy shared seven of the new highest 9 scores. Charlotte Turner (16) from Ilkeston achieved three 9 grades in History, English Literature and English Language along with 8 in German and Biology, a 7 in Chemistry and 6 in Maths, Physics and Computer Science. She said: “I normally sleep really well but last night I was up until past 1am as I was just really scared of getting my results. “I was crying even before I opened them and was just so relieved when I saw the results that I’d got. I’d always hoped I’d achieve a 9 but to get three is amazing. Charlotte has previously attended a summer school at Oxford University and after doing her A Levels hopes to return there to study. 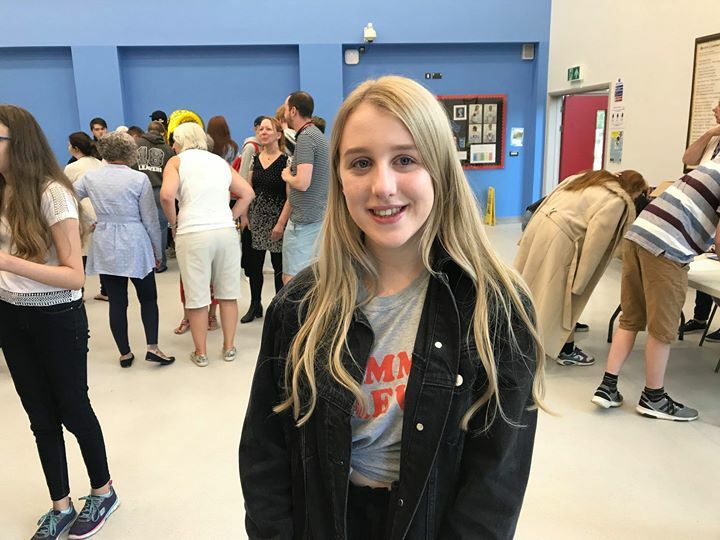 Sixteen-year-old Lottie Hardy also achieved a 9 in English Language along with 8 in English Literature and History, 7 in Maths, Biology, Chemistry, German and Art and Design and 5 in Physics. 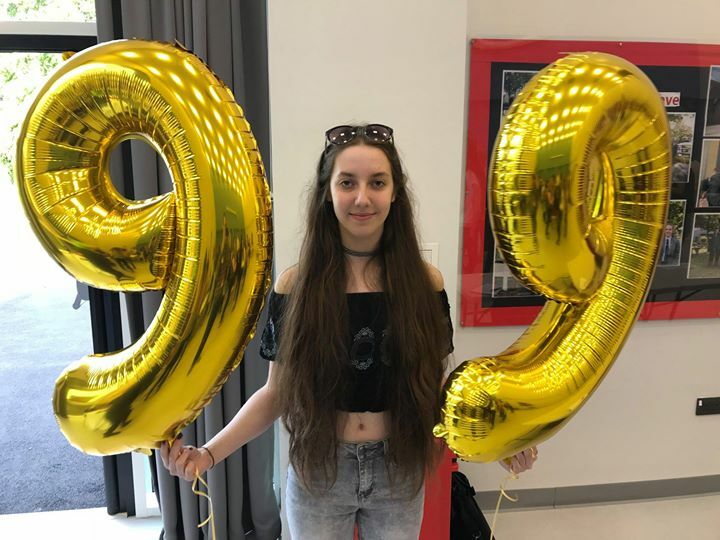 Lottie, who has been OIEA Head Girl for the last year, said: “I was so happy to open that envelope and see a 9 – I wasn’t expecting it at all- I’m so proud. 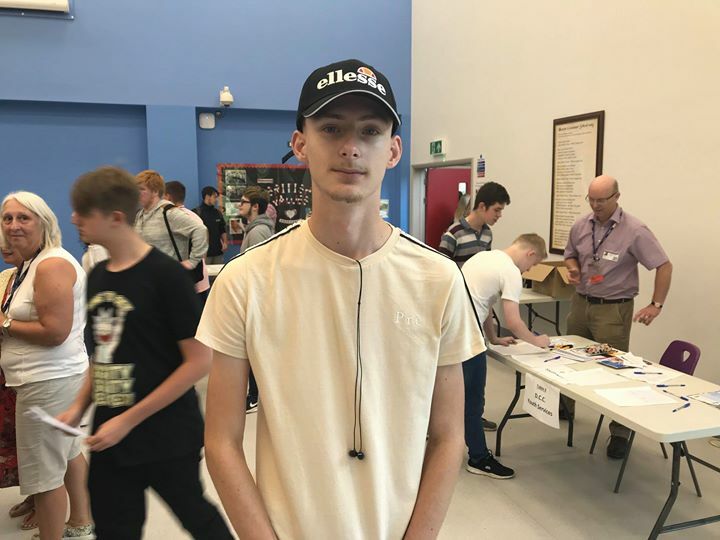 William White (16) of Ilkeston also received a 9 in Geography along with 8 in Maths, 7 in Biology, English Language and English Literature, 6 in Physics and 5 in German and Chemistry. He said: “I’m really over the moon with my results. I got a 9 in Geography and to be honest I thought I’d get a 6 at best so I’m really surprised to get a 9 but really pleased I’ve achieved it. I just wanted to get down to school today and find out my results. William is going to study BTEC Sport at Bilborough College. Eve Moore of Ilkeston was also one of the students to achieve a 9 grade after being awarded 9 in both Maths and English Literature. She also received 8 in Geography, Biology, Chemistry, Physics, English Language and Art and Design and 7 in German. She said: “I’m really proud of what I achieved, particularly getting two 9 grades. I actually really enjoyed doing my exams. I like learning and new experiences so I’d enjoyed it. “I’m now looking forward to doing my A Levels and hopefully after that I’d like to go somewhere like Cambridge of Oxford to do Maths. Nia Salt, Principal of OIEA, said: “I am really proud of all of our students and what they have achieved. “We have recorded some of our best ever results this year. The number of our students achieving grade 4 or 5 and above in English and Maths has improved by more than 10 per cent, which is brilliant.